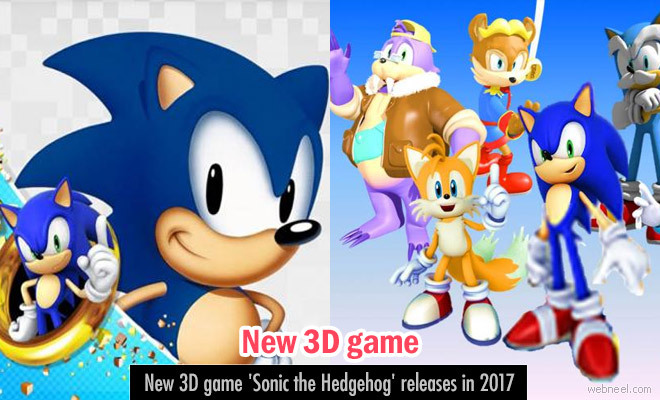 During the Comic Con international which was held in San Diego on July 23rd 2016, Sega came up with an announcement that a new release, 'Sonic the Hedgehog' 3D game will be available during the holiday's in 2017 . It will be made available for the PlayStation 4, Xbox One, NX, and PC. Curently, it's in development mode and it goes by the name 'Project Sonic 2017'. It's the 25th anniversary for Sonic and Kudos to the people behind this game development. Sega also plans to release 'Sonic Mania' which is a 2D platform adventure for PlayStation 4, Xbox One, NX, and PC during the spring of 2017. So we have two great games all set to amaze the fans of sonic games. 'Sonic the hedgehog' is also available in a premium version for Android users. So you can run as fast as you can, spin, collect rings and defeat the evil Dr. Eggman.